It’s BEEYOOTIFUL. Unlike many palettes, this one is endlessly versatile, and doesn’t have any “random” shades thrown in just to make the numbers up, it’s enormously flattering and will be suitable for a variety of skin tones. The shadows themselves are silky, buttery soft, and extremely blendable. This has just become my desert-island palette, I’ve been carrying it around with me since it arrived. 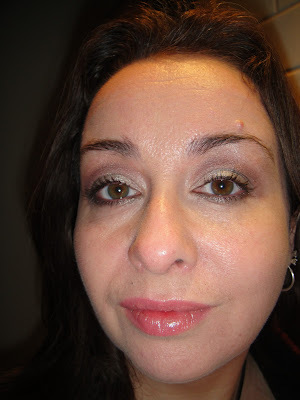 The look I created above is a very neutral one, I used the pale pink (bottom right) on my mobile lid and brow bone, with the coppery brown (middle right) in the crease, and the taupe (top right) on the outer corner and as a liner underneath the eye. Very quick, very polished, and very easy to kick up with a pop of any of the blue/purple/dark brown shadows on the left there as liners. Can’t really recommend this palette highly enough to be honest, I love it. You can buy yours from the lovely, lovely girls at Cult Beauty for £38. Pricey? Possibly, but you won’t need any other eyeshadows for the rest of the year, if you get it, and these are really super-high quality shadows. And I’m about to rave about the eyeliner as well. Sorry, this is turning into a hella-gushy post! I’ve always found ELF products a bit hit and miss, to be honest, but when they get things right, boy do they… I’m always dubious about cream eyeliners, sometimes they’re difficult to use, being a bit “draggy”, and then you have the transference problem if your eyelids are hooded at all, as mine are. As far as I’m concerned, this little baby has outperformed liners costing up to five or six times as much you can get hold of one for £3.50 from the ELF website. I’ll definitely be buying the black and the blue, and I’ll just have to live in hope that they’ll eventually add a green and a purple to the range too, they’re fantastic. Okay, enough gushing from me (I’m really sorry, but you know perfectly well that I’m not this impressed with anything very often, so I hope you’ll forgive me), what are your favourite beauty products at the moment? Next Post Lip Balm Roundup. 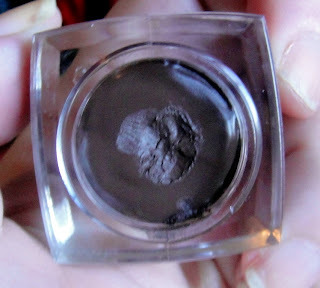 Oooh a reasonably priced gel liner! That looks really pretty on you. 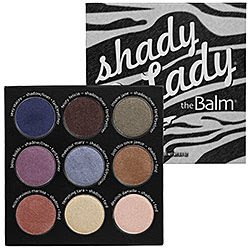 The shadow palette is lovely and I think that's not bad value for all those shades. That gel eyeliner looks fab, such good value too! Making a mental note of that one. I'm buying that liner – well sold!